07/31/2018. “Private Plans” and “Inheritance” is a limited edition set of 50 prints by Jordan Buschur. Sized to fit a standard 10”h x 8”w frame, the artwork measures approximately 9”h x 7”w. The archival prints were created by Tiny Showcase and ship with corresponding certificates of authenticity. The archival artwork has been printed on a heavy 290gsm natural white print making paper made from 90% bamboo fibres and 10% cotton. The original pieces are acrylic on panel, 40” x 30”. Jordan has chosen NARAL Pro-Choice America as this week's charity. $250 from the sale of Jordan's artwork will be donated. "Mindful of the horrors of back-alley abortions and fueled by a strong conviction that women’s personal reproductive-health decisions are theirs alone, NARAL’s foundation arm gives voice to the 7 in 10 Americans who believe that abortion should remain legal and accessible. With more than 1.2 million member activists representing every state in the union, we are on the front lines of the fight to preserve and expand reproductive freedom and abortion access in the 21st century. We believe in the power of people to make a difference, and we help to drive that positive change by educating Americans about the threats to reproductive freedom and holding bad actors accountable at every level. Together, we can ensure an environment that guarantees every woman the right to informed and empowered choices." Jordan Buschur comes from a long line of collectors, and her paintings reflect this proclivity towards amassing objects. An artist, educator, and curator, she received an M.F.A. from Brooklyn College, the City University of New York. Her work has been shown internationally, including exhibitions with the Center for Book Arts (NYC), Tiger Strikes Asteroid (NYC), and Vox Populi (Philadelphia). She was a community teaching resident at the Bemis Center for Contemporary Arts (NE) and the Sheldon Museum of Art (NE) and completed artist residencies at Chashama North (NY), the Kimmel Harding Nelson Center for the Arts (NE), and the Vermont Studio Center. 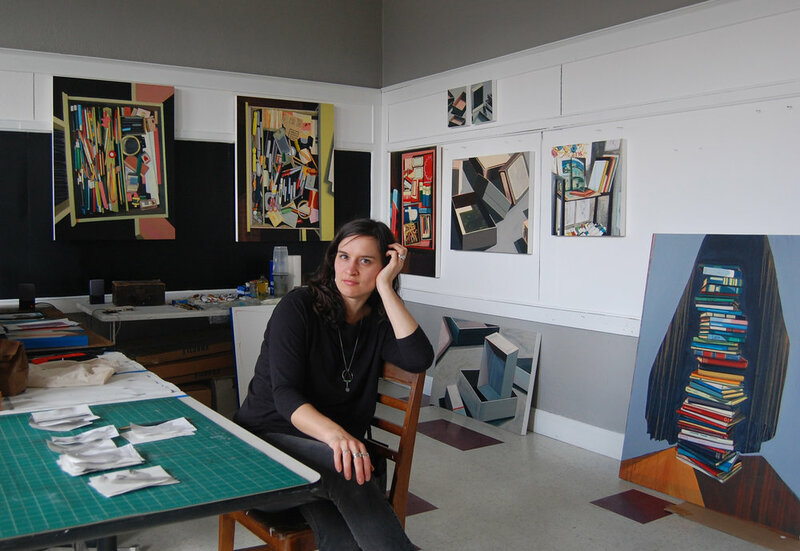 Awards include the Kimmel Foundation Artist Award and the Charles Shaw Painting Award. Her artwork has been featured on the Creative Boom, Jealous Curator, and Young Space, among others. She has curated exhibitions at Cuchifritos Gallery and SPRING/BREAK Art Show, both in New York City. Buschur is the former Director of the Eisentrager-Howard Gallery at the University of Nebraska, Lincoln and the Prescott Gallery, Lincoln. Currently, she’s a team member at the Neon Heater Art Gallery (OH). Her studio is in Toledo (OH).